This lonely stray dog, shivering on a snowy winter day in Turkey, may have thought she didn't have a friend in the world — but then along came a stranger who let her know there are still people who care. After a recent theft, a resident from the city of Giresun was reviewing security camera footage when another scene entirely rose to the forefront. Turns out, the camera had captured a mysterious man approaching one of the city's many homeless pups before doing something totally unexpected. He gave the dog some food — and the jacket off his back. Video of that random act of kindness spread quickly across social media, until the Good Samaritan responsible was identified. 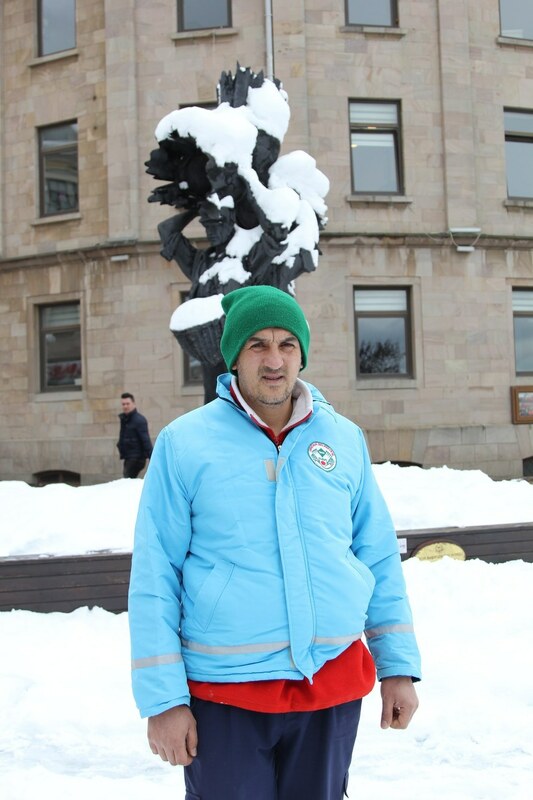 The man in the video is Bülent Kalpakçıoğlu, a municipal worker in Giresun. "If I did not give my jacket, it would have eaten at my conscience," Kalpakçıoğlu told The Dodo. "While we are sitting warm at home, they are outside in the cold." 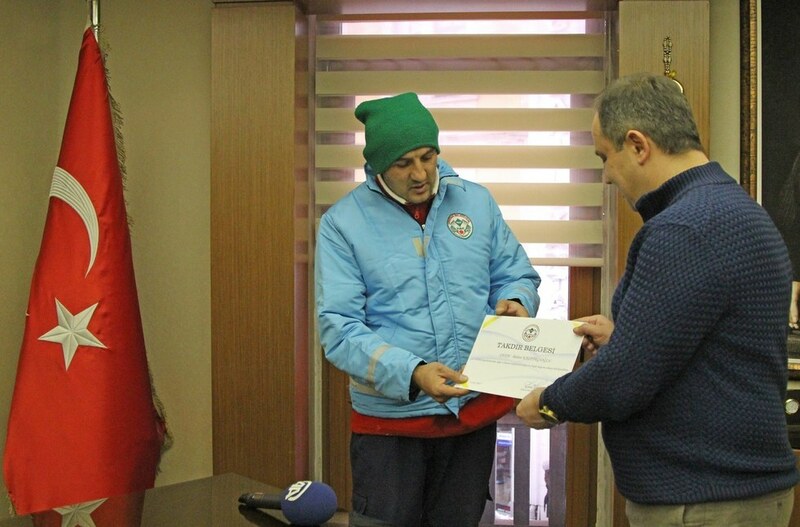 For his exemplary service, Kalpakçıoğlu was recently awarded a special certificate by Giresun mayor Kerim Aksu. "With this action, he gave a lesson in humanity," Aksu said during his remarks, adding: "Animals are our friends. We love people, we love our city, we love all living things that are an integral part of us and our city." Elsewhere across Turkey, other folks have stepped in to help stray animals keep cozy during the winter chill by offering them protection from the cold. While many of these kind acts go unnoticed, like Kalpakçıoğlu's nearly had, he says he hopes his story might inspire others to get involved. I really hopes there will be plenty of kind people like this, very sincere and heartwarming.